Drain-back solar thermal systems operate on the same basic principle as a regular pressurised solar system, except with fewer components, they simpler from the point of view of mechanical and electrical installation making drain-back particularly attractive for social housing projects. Viridians range of solar products are manufactured in Cambridge, UK, they had the first solar thermal panel with a BBA Agrement certificate tested as a roofing element as well as an energy generating product. The solar panel used in a Viridain drainback system is the same panel as used in the pressurised system and therefore the excellent design features of Viridian solar panels apply to both systems click here to see them. 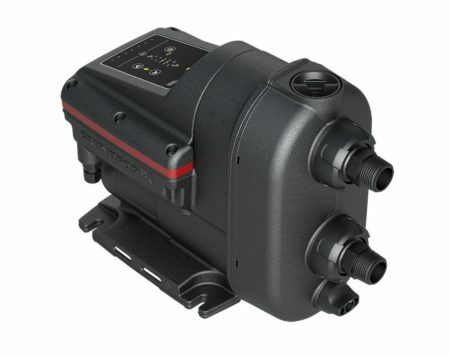 The main distinction between this and a pressurised system is that when the pump is not running in a drainback solar system, all of the liquid drains back out of the panels. A small tank (the drainback vessel) holds the liquid so that the resting fill level is above the pump as depicted below in figure a and b below. 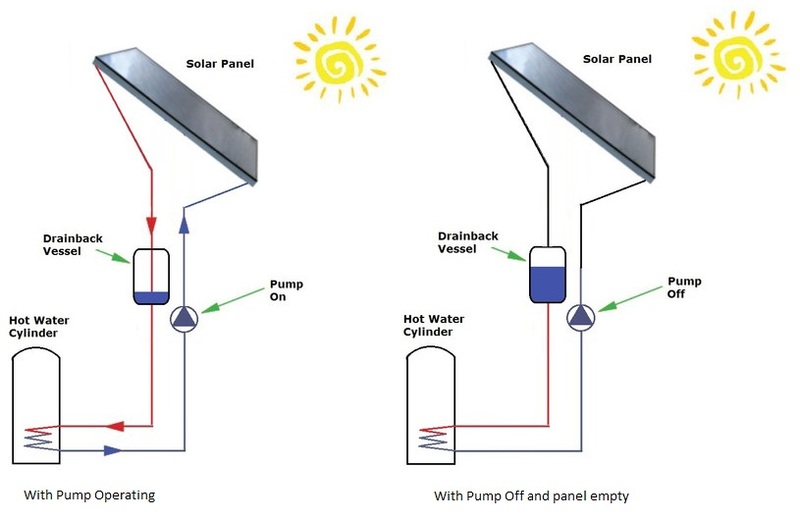 If there is heat to be collected from the solar panel, the pump switches on and the circuit is complete and heat is transferred from the solar panel to the hot water cylinder. 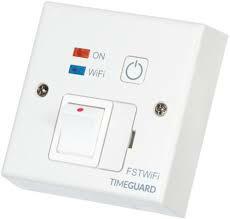 The system is simpler with less components which results in easier and lower cost system maintenance. The solar fluid is stored below roof level overnight, preventing freezing in the solar panel. There is no requirement for the addition of glycol to the system which results in greater system efficiency. 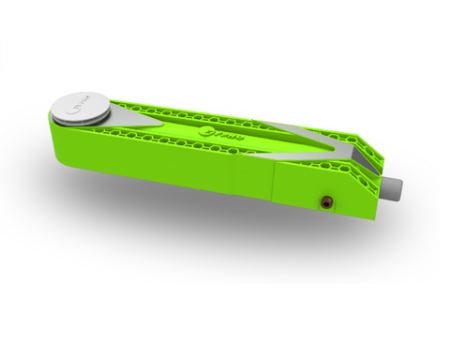 The solar circuit is protected against high temperatures and pressures without the need for a dedicated heat dump. Greentherm are also capable of designing and supplying pressurised solar thermal systems, for situations where drainback is not feasible, or on customer request. 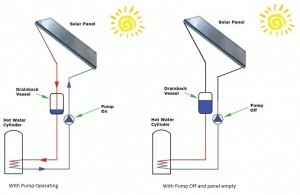 For more information on either drainback or pressurised solar thermal systems, Contact Us.